Aldosterone is a mineralocorticoid hormone with a well-known effect on the renal tubule leading to water retention and potassium reabsorption. Other major effects of the hormone include the induction of proinflammatory activity that leads to progressive fibrotic damage of the target organs, heart and kidney. Blocking the aldosterone receptor therefore represents an important pharmacological strategy to avoid the clinical conditions deriving from heart failure (CHF) and chronic kidney disease (CKD). However, steroidal mineralocorticoid receptor antagonists (MRA) have a low safety profile, especially in CKD patients due to the high incidence of hyperkalemia. 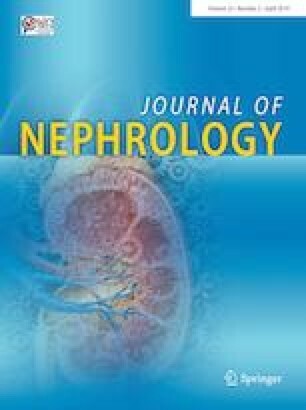 A new generation of nonsteroidal MRA has recently been developed to obtain a selective receptor block avoiding side-effects like hyperkalemia and thereby making the drugs suitable for administration to CKD patients. This review summarizes the results of published preclinical and clinical studies on the nonsteroidal MRA, apararenone esaxerenone and finerenone. The trials showed a better safety profile with maintained drug efficacy compared with steroidal MRA. For this reason, nonsteroidal MRA represent an interesting new therapeutic approach for the prevention of CHF and CKD progression. Some basic research findings also yielded interesting results in acute clinical settings such as myocardial infarction and acute kidney injury. The authors declare no funding. Authors declare that this work has not been published before, that it is not under consideration for publication anywhere else and that that its publication has been approved by all co-authors.